What a gorgeous morning! 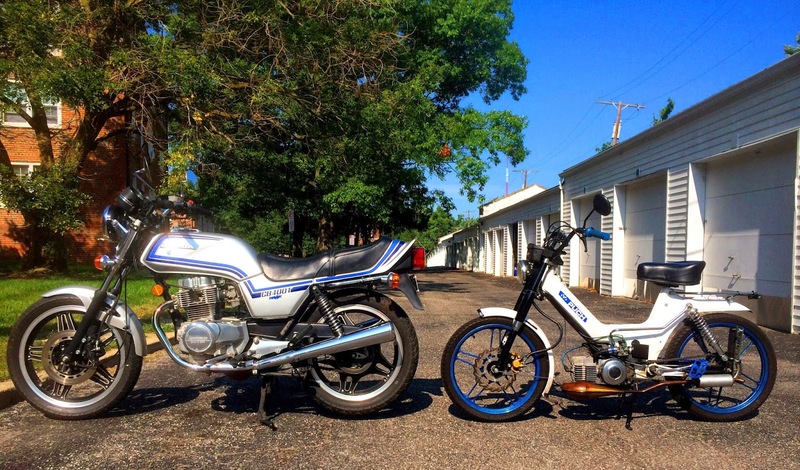 I rode my moped to the garage, then rode my 1981 CB400t around for an hour or so. The spark plugs were still the original ones form 1981 so I stopped by Autozone to pick up new plugs. The guy at the counter was shocked to hear the bike only has 2,400 miles on it... so he came out to check it out. I sold some more moped stuff so I should be able to pick up a decent riding jacket and gloves. 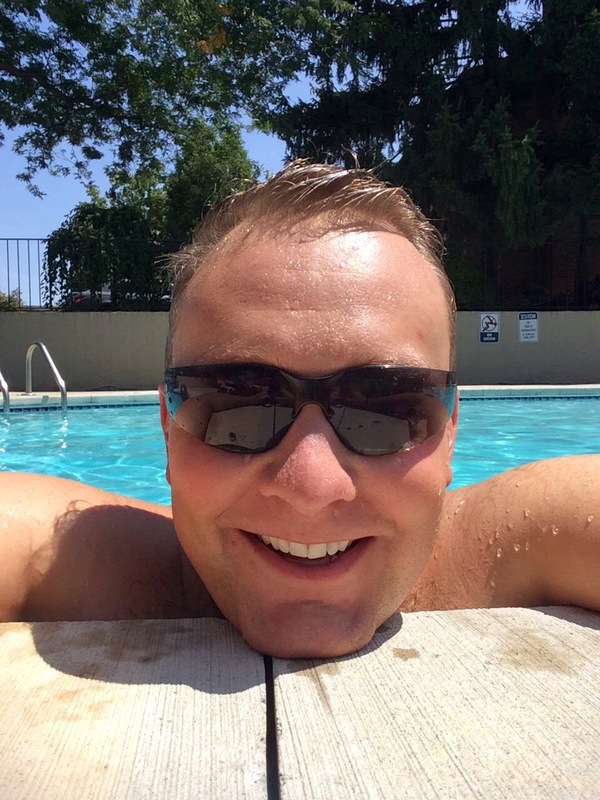 Then I jumped in the pool real quick before heading into work. I had some lady contact me a few months ago. She said her nephew does the weather at home ten times a day and his dream is to become a meteorologist. He even tapes the news if they are ever not home. Well this week was his birthday and she saw that I have scouts almost every Sunday. I told her to bring in Austin and we will show him around. When I walked out of the studio he was shaking with nervousness. He was super adorable and hope he had a good time. 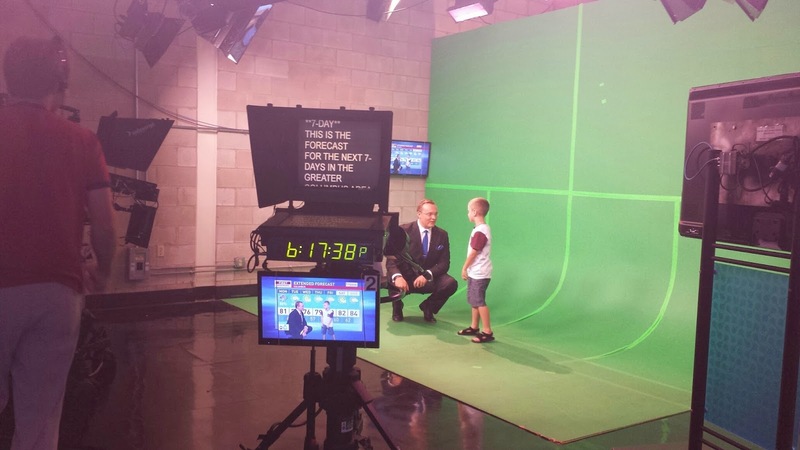 In the picture above, I had him come and help me with the 7-day forecast during the news. Scattered showers and storms for Monday and Tuesday. Highs around 80. Then we dry out Wednesday and we cool off into the mid to upper 70's for highs and lows back in the upper 50's. There is a weak disturbance late Thursday into Friday, but right now the chance for rain is only about 10%, so I didn't even put it on the 7-day forecast because the air will be so dry it likely will not materialize. And other than that... we are dry from Wednesday through the weekend on all the models... looks like a decent deck-staining week. HAHA! Have a good one!